My boss recommended Plated when she heard I was trying these meal subscriptions. She said she did this program since it wasn’t “real cooking” since a lot of prep was already done. I’m always game for anything that makes cooking easier so here we go! The box I got was HEAVY! 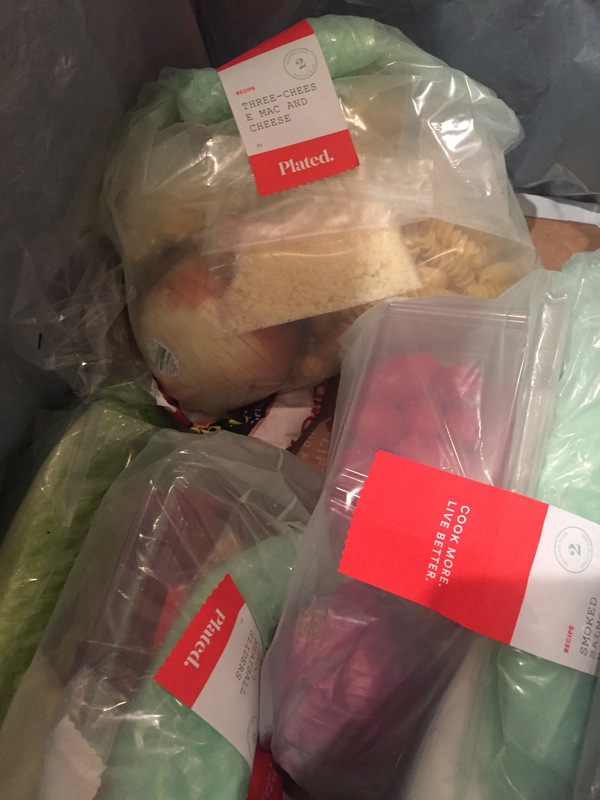 Smaller than both Blue Apron and HelloFresh, but freaking dense and padded. The items were each labeled so that took out the guess work of what would be needed for each recipe. I did like how EVERYTHING was portioned out. For example, 3 mayonnaise packets were the exact amount needed for the caesar salad dressing. 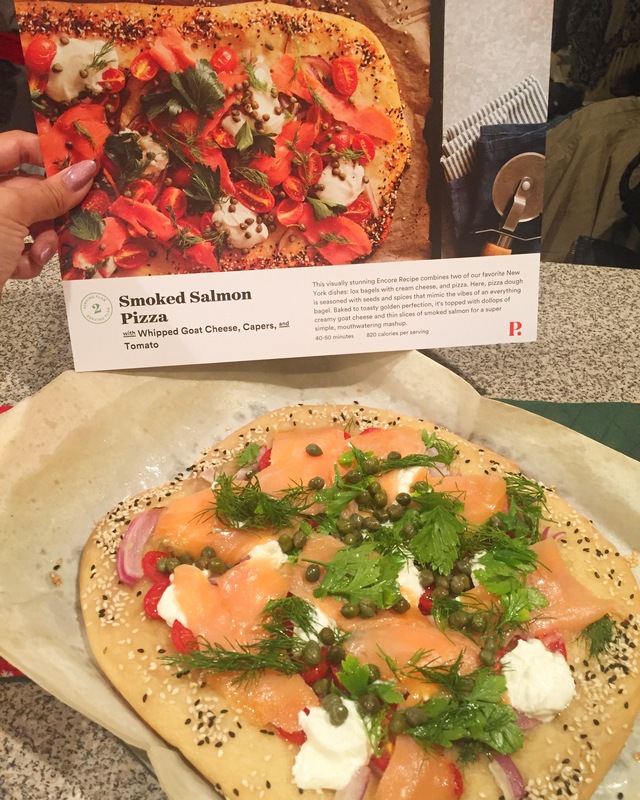 The first meal I made was Smoked Salmon Pizza. It sounded fancy and I assumed tossing items on a pizza crust would be easy. So to be honest, this was my least favorite meal out of ALL the meals I’ve cooked through the subscriptions. I’m not sure if it’s because the salmon with whipped goat cheese was just too much flavor for me…or I was just over it by the time I ate it, but this just wasn’t my cup of tea. I did like how they LITERALLY provide everything needed like the parchment paper for cooking was supplied so that’s a huge plus. Just maybe I can’t be that adventurous like fish on a pizza? Second meal was made with the boyfriend and it was the vegan Three Cheese Mac and Cheese with onion and kale. Honestly, anything with cheese is usually a favorite of mine. 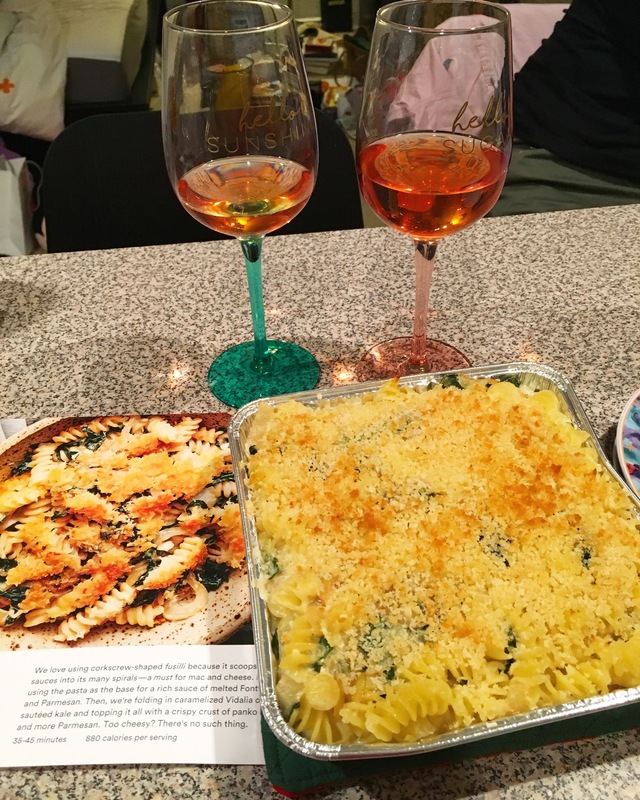 This recipe took some timing because we had to cook the veggies and then cook the noodles…then time it so the creamy cheese was ready right as the noodles were so we could layer it altogether and then bake it. This was delicious and served as a good mini lunch the next day too. I know this was a vegan recipe, but I would have liked some bacon pieces in it. 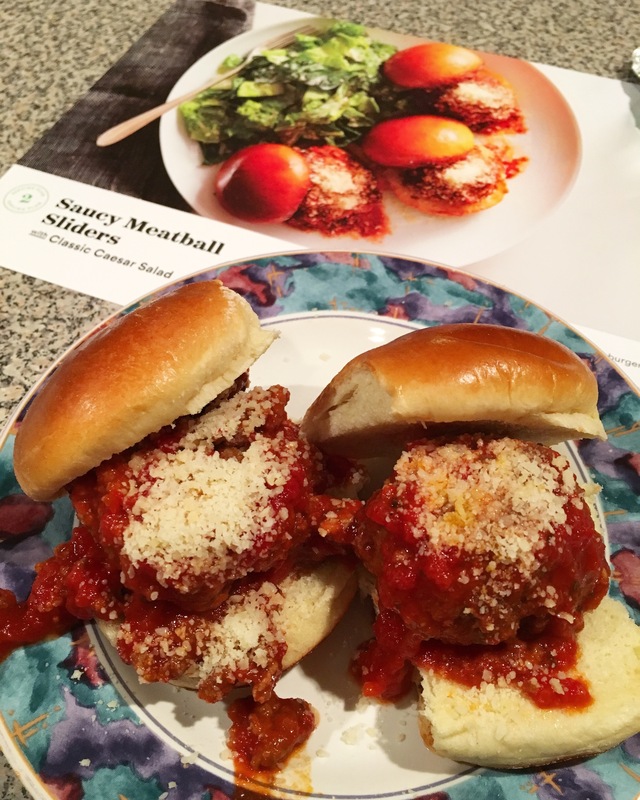 Last was Saucy Meatball Sliders which again, I failed to read all the instructions so I didn’t have an egg which was suppose to keep the meatball together…so I basically made meat marina sauce sliders 🙂 It was good and easy to make! The only issue was that the buns were labeled as refrigerated and I think it made the buns a little weird tasting since they were a little chewy. 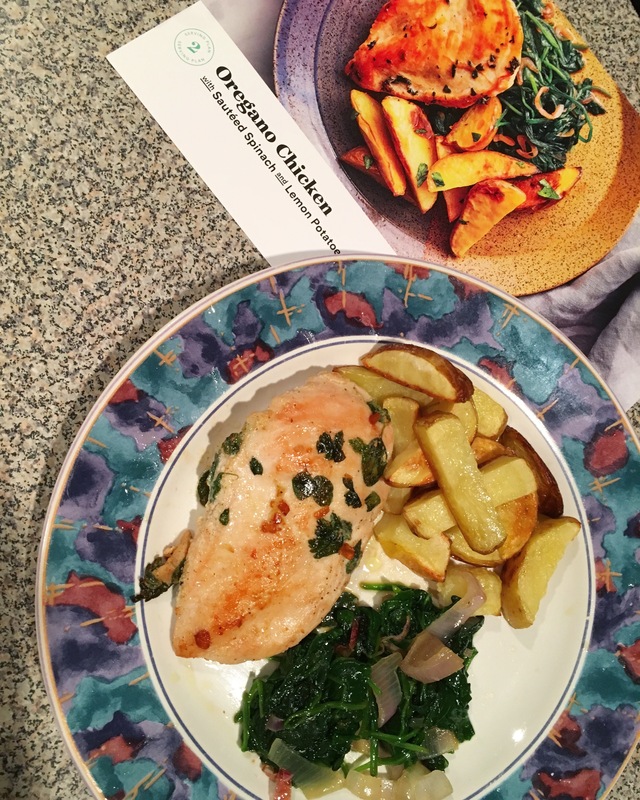 So far Plated has been about 30-40 minutes to cook and it’s been easy to make, but not as tasty as Hello Fresh. I accidentally forgot to cancel so week 2 happened as well to see if the taste would be better! This became the week of chicken because since I forgot to cancel, that means I also forgot to choose what was in my box so the default was ALL chicken 😮 I will five Plated credit in keeping the chicken ideas fresh. 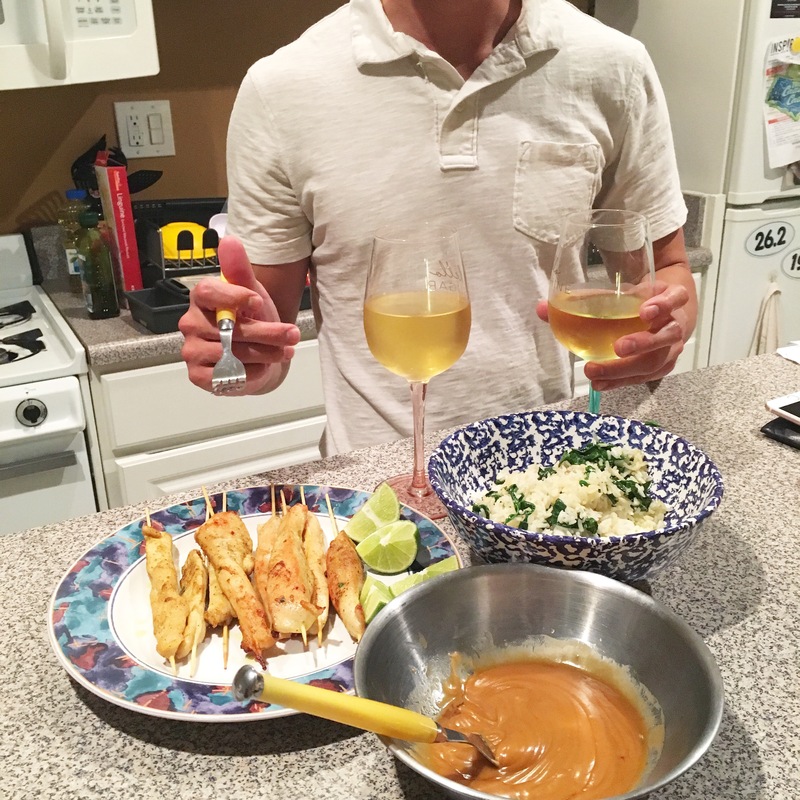 I got chicken meatballs and spaghetti, oregano chicken and lemon potatoes and lastly chicken skewers with peanut butter sauce and lemon garlic rice. 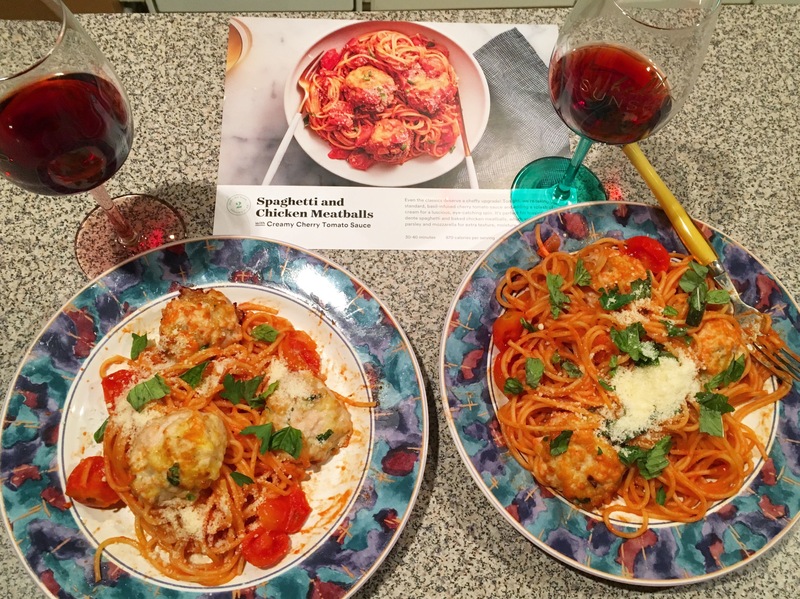 These were quite tasty and really quick to put together! 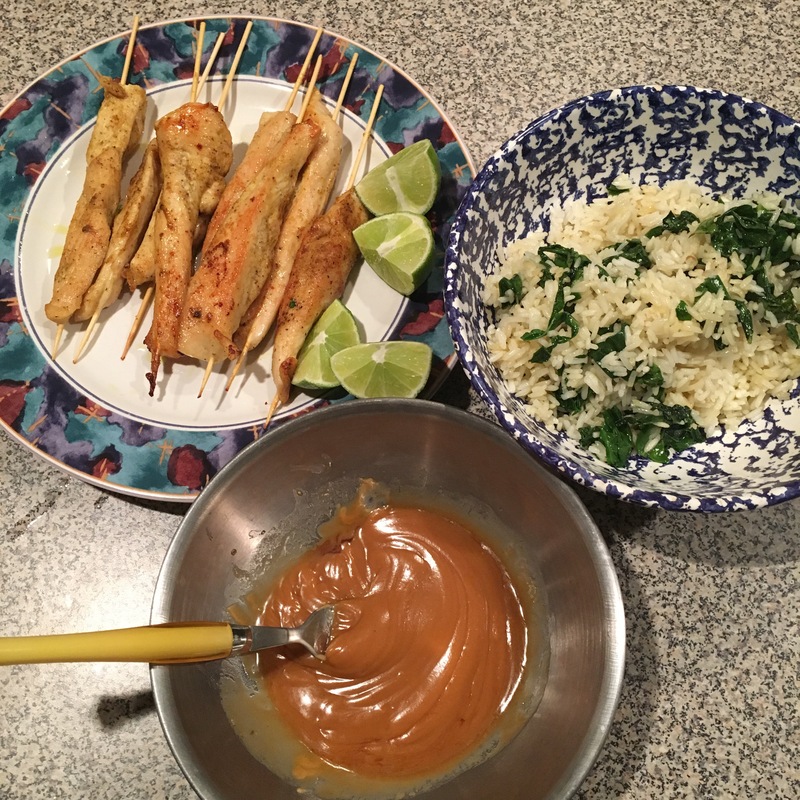 My favorite was probably the rice for the chicken skewers because the flavor was a nice surprise.